Should be ok I think. She has plenty of English language friends and help these days. Also, remember the English Version of Sono Speed De on BLACKOUT? That was more than ok.
Yea, I wasn't being ironic this time haha I actually enjoyed the all-english songs on "Candy Shop"! That's why it's always fun, it used to be fun cuz of the engrish and now it's fun cuz the lyrics and her pronunciation have improved a lot! She has never done a song in complete English as heavenly6, so i'm quite excited to hear the results. Yeah. She said that there will be a few songs in English. Does Tommy appear on TV or do any other kind of personal promotion for albums anymore? I WANT YOUR BLOOD† and LET ME SCREAM sound amazing! Can You Hear Me is like a new "Hey My Friend"
Ash Like Snow is sounding good too, much better than I expected. For me can you hear me is the best. Also I like I want your blood, let me scream, milk tea and ice cream heaven forever. And I want to hear more differences between English and original ash like snow. 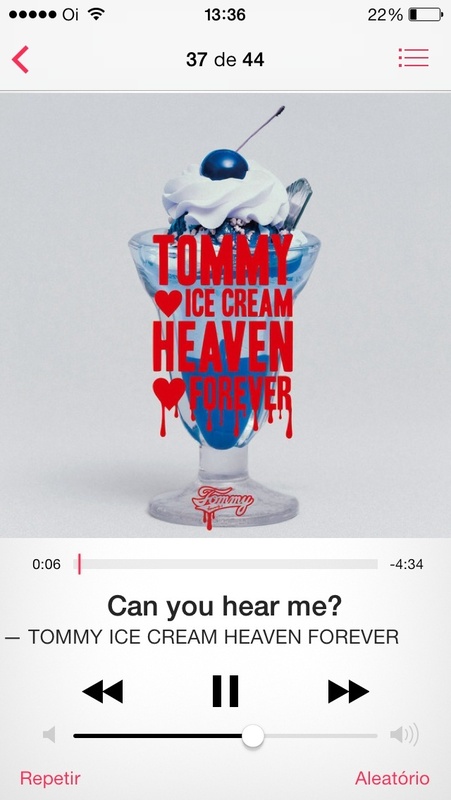 And I don't understand well what song is playing after ice cream heaven forever. A hidden track or what? Oh my god they're so good. I'm a million times more excited now. Wow this album is blowing my mind! It's so worth the wait! But I think the best are forever and anywhere, MILK TEA, ICE CREAM HEAVEN FOREVER and maybe LOVIN' YOU. Can you hear me? sounds a lot like hey my friend only newer can't wait to see the music video for it Ash Like Snow sounds pretty epic in English. I hope the brilliant green comes back soon I miss them! Resistance. failing.... must. stay. strong. hnnnnnnnnggggggg! Brazilian post office is a mess around the holidays. Ouch. Sorry to hear that. I'm sure some one will post a link for those less fortunate. PREVIEWS ON AMAZON JAPAN AVAIABLE NOW! Album available on iTunes, so are the longer previews. Anyone have any download links yet? I literally just got my copy 5 minutes ago. Gonna post scans of the album on my website tomorrow. I will also post a link if one hasn't already been posted. Thank you!!!! You are awesome!!! The video for Can You Hear Me? is quite lovely.